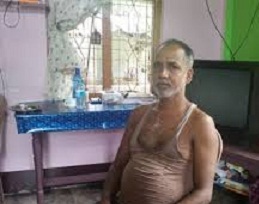 Uttam Paul, 48, of Assam’s Cachar district had never thought he would feel insecure in a country inhabited by his family for over decades now. However, after the final draft of the National Register of Citizens (NRC) came out on July 30 last, he is a “shaken and stirred” man today – 17 out of the 22 members of his family were left out of the list. A report appearing in the FIRST POST stated that while Uttam, his father Radheshyam Paul, 101, his brothers Madan Mohan Paul, 60, Bimal Paul, 55, Gautam Paul, 40, and Sanjit Paul, 35 and their children could not find their names on the list, the wives of the five brothers were included in the final draft NRC. The report further stated that the Paul family is among the 40 lakh anxious people of Assam who are now in a state of “liminal legality” after their names were missing from the final draft NRC. While those left out can appeal again via the claims and objections process, the anxiety is giving sleepless nights to many. The process has also affected their everyday lives as they now throng to tribunals and courts to prove their citizenship. Uttam said it was “unimaginable” that they would be categorised as ‘doubtful (not included)’ citizens in their own country. “It is a strange fear. We are definitely worried and cannot breathe freely till the matter is resolved and our names are included,” he said. “We have valid documents to prove that we are Indian citizens. We have also been exercising our voting rights over the years,” he said, adding that they had many other documents which were destroyed in a blaze in the 1950’s. The family had submitted the 1956 voter-list with the name of his parents – Radheshyam Paul and Sachi Rani Paul – on it and a few other necessary documents. As a part of the NRC update process, the family was called for verification at an NRC Sewa Kendra in Margherita in Tinsukia earlier in March. “During the verification, the Sewa Kendra officials told us that everything is okay and there is no need to worry,” Uttam claimed. According to the family, Radheshyam worked as a sculptor in different parts of the country — including Siliguri in West Bengal and Tinsukia district of Assam — before settling in Kashipur tea garden where the family currently resides. While Madan Mohan and Sanjit work in the jewellery sector, Uttam, Bimal and Gautam work as sculptors. Nimai Swarnakar, a local, affirmed that Radheshyam is a popular person in the village. “Once, he had made 26 statues during a boat-worshipping ceremony, the first-of-its-kind in Kashipur tea garden in the 1970s. That was a memorable event for many in this village,” he said adding that over the years, Radheshyam has been a part of many other memorable events in their village. One of the older residents of the village, Radheshyam Upadhyay, 90, said the family, like other families in the State, was a victim of the Partition. He also added the Paul family has a good reputation in and around the village. Uttam’s wife Seema Paul said the exclusion of 17 names from their family came as a “shocker” and now they are afraid of what would happen if their names do not appear in the final NRC. “We never got into any legal case and don’t know much about matters related to courts and lawyers. We are not even financially strong enough to spend money on a legal case if our names are not included in the final NRC,” she said. “We will submit the application forms for claims as per the procedure. Hopefully, our names will be there in the final NRC, or else we will, perhaps, go wherever the Government throws or pushes us. The time ahead is going to be full of anxiety,” Uttam said.